The Wine Thief is a multi-vintner tasting room located on the corner of First and McKinstry Streets across from the Oxbow Public Market just east of downtown Napa. 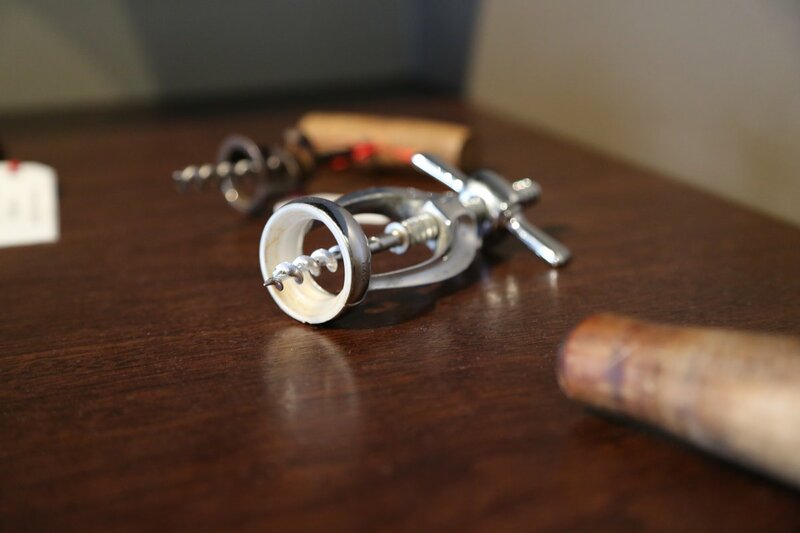 This is a partnership between two individuals; Andrew Renda (former Director of Sales at the nearby Vintner’s Collective), Garrett Ahnfeldt, proprietor of G Wine Cellars. 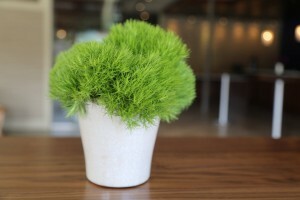 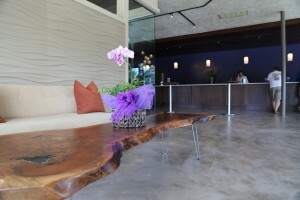 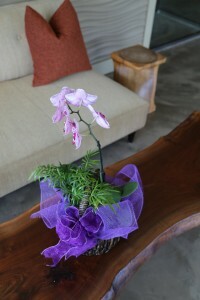 This tasting room features a select group of mostly Napa Valley based vintner partners. 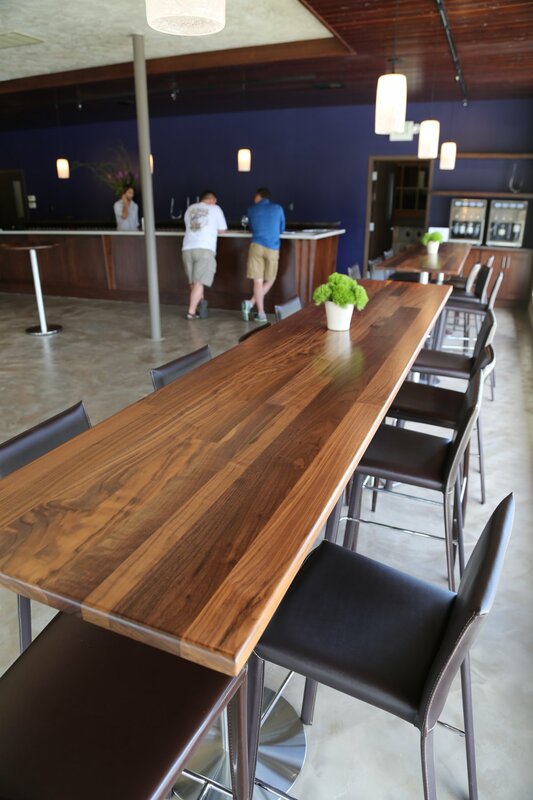 Contractor Todd Richter was responsible for creating much of the interior design inside the tasting room including the beautiful cabinets. 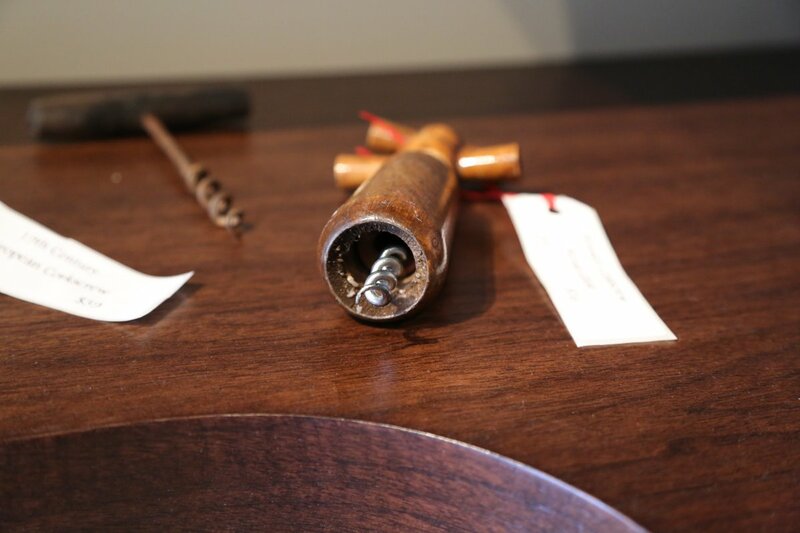 Andrew was introduced to wine while working in restaurants in the Boston area. 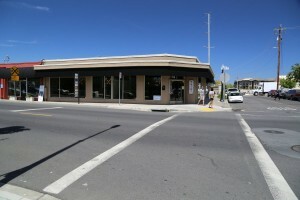 He eventually worked at wine shops before he and his girlfriend at the time – sold mostly everything they owned, quit their respective jobs and drove across country to the Napa Valley (without any jobs lined up). 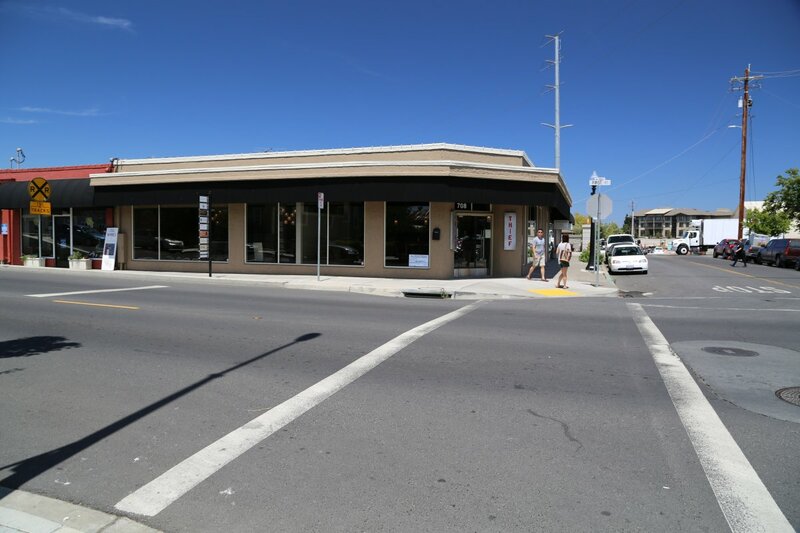 Within several weeks Andrew had secured a job at Vintner’s Collective in downtown Napa (a long time collective featuring wines from mostly boutique Napa Valley based producers). 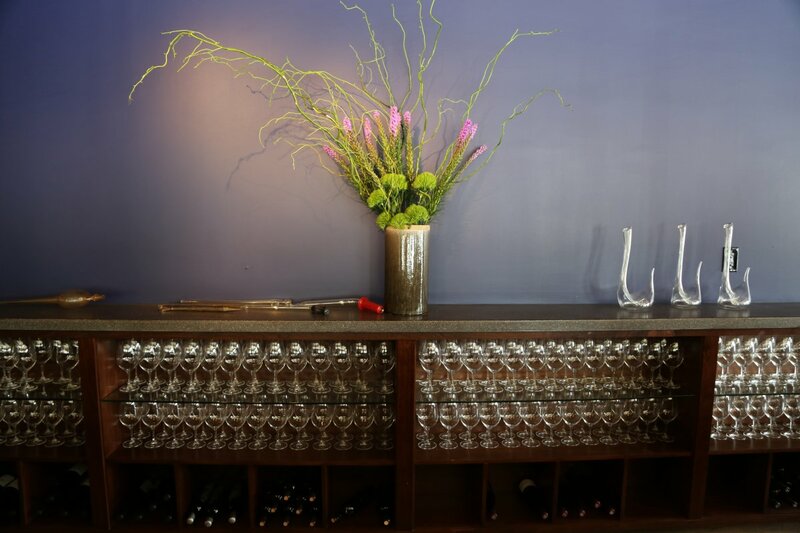 While working working at Vintner’s Collective Andy was introduced to the owners of numerous mostly small Napa producers including Garrett. Both had talked about collaborating on a project – and when this space was mentioned to Garrett as being on the market, the timing was right to create a partnership and establish this wine collective. 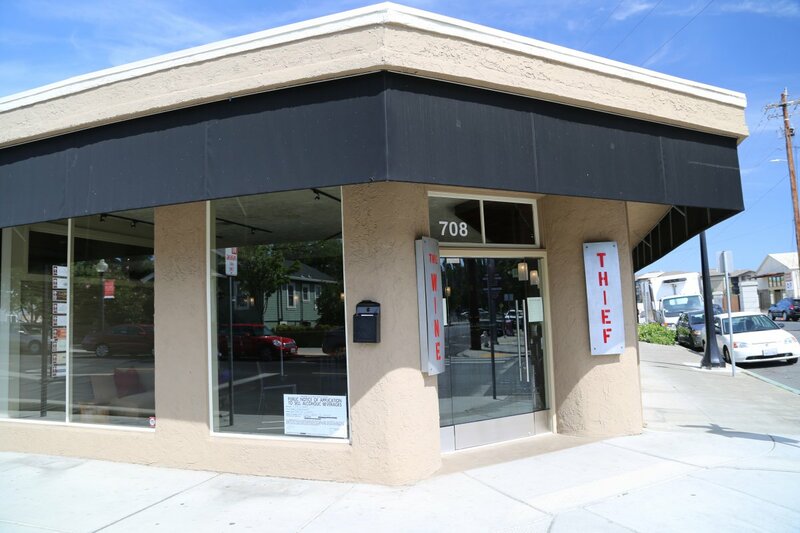 How come the name “wine thief”? Andy and Garrett were having lunch across the street on the patio at Kitchen Door Restaurant in the Oxbow Public Market and realized their tasting room had been under construction for some time but they still were without a name. Brainstorming for a while they touched on a number of common names that collectives often take – but then Garrett suggested Wine Thief. It is a catchy name to someone outside of the industry who perhaps isn’t aware of the winery tool by the same name – and is also appealing to those who work within the industry. 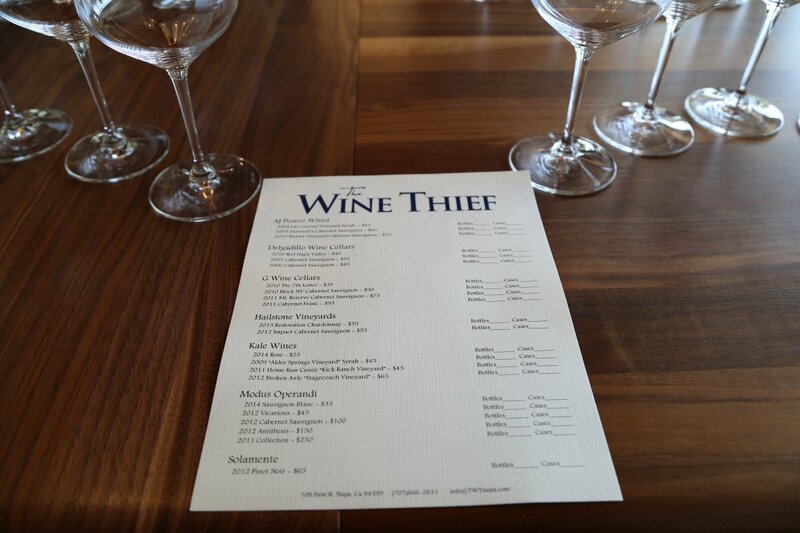 Inline with the name of the tasting room, they have amassed an impressive yet tiny collection of wine thiefs from around the Napa Valley and beyond – including some unique as well as historical thiefs. 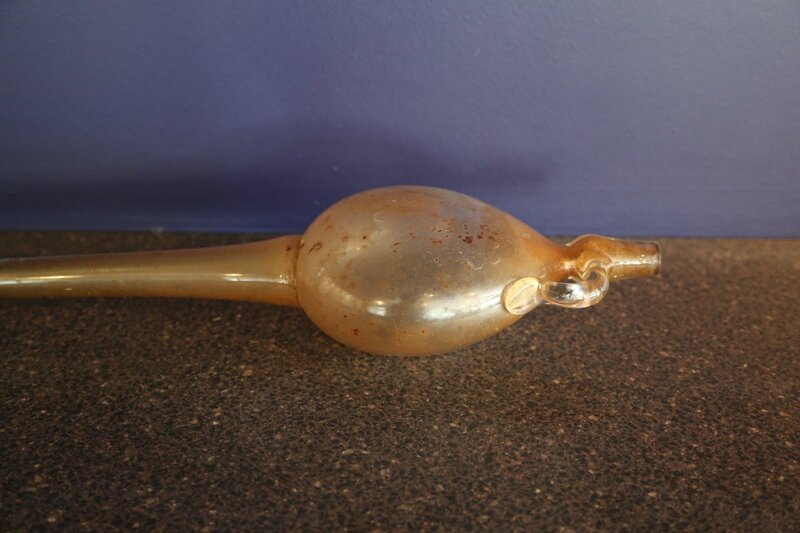 One of their more unique wine thief acquisitions was a large bulbous wine thief dating from the 1880’s. 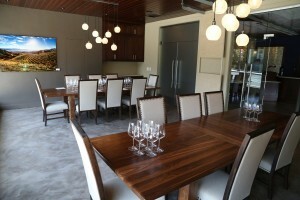 Part of their collection includes wine thiefs signed by Napa winemakers. 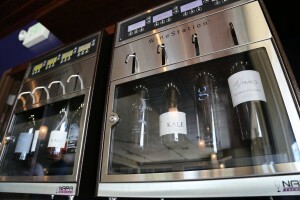 At any given time, some of these are displayed behind the tasting bar. Also note the lighting fixtures – these were hand blown by a Hawaiian artist who is also a professor at the University of Hawaii. 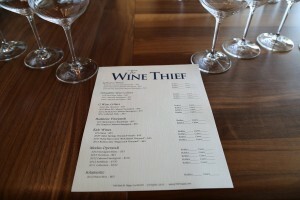 The Wine Thief offers a variety of tasting options for visitors. Wines are available simply by walking in and choosing from two flights at the tasting counter or from one of two automatic dispenser Wine Stations (by the taste, by the half glass or by the glass). 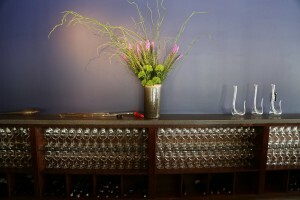 The flights offer either four or six wines but these are not set wines – rather are based on the variety of wines available at any given time by the multiple producers. 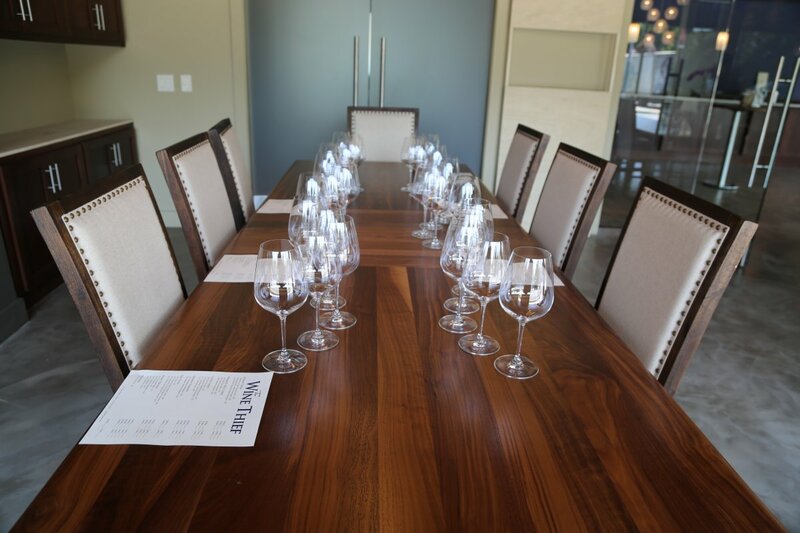 Customers can often pick out certain wines to try – or let one of the hosts choose the wines based on personal preferences in taste and wine styles. Private tastings can be arranged by making an appointment in advance. Appointments can also be made to try the current release of any of the wines from the represented vintners in one of the two private rooms on site. Along with other tasting rooms that have opened in the valley in the past few years, a culinary aspect can be a part of the experience here. A small commercial kitchen is on site and small plates are created by sourcing from local producers to pair charcuterie and tasty treats with their wines (available only for the private tastings). 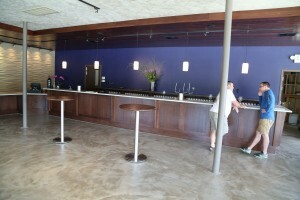 The Wine Thief also maintains their own wine club called The Thick as Thieves club – with membership options offering access to a number of services including their concierge, access to select wines from the vintner members and access to an annual member’s only golf tournament at the nearby Silverado Country Club.